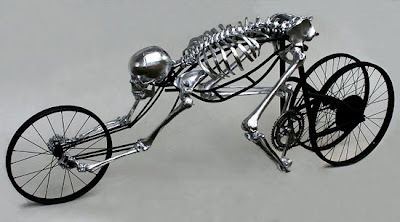 have been assembled to create a bicycle which appear to be made from a human skeleton. the spine. 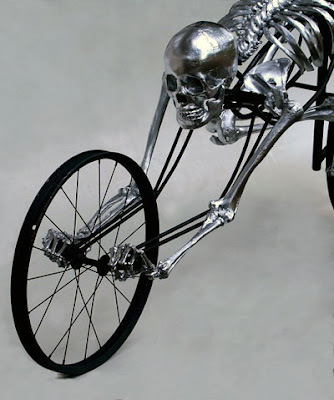 The legs are attached to pedals but there is no seat, making kind of hard to ride.